I thought nature was playing tricks on me when I first saw the unexpectedly colossal fruit dangling from our spindly-looking "apple" tree. At the beginning, I thought we had an apple tree because that's what we chose in a long line-up of fruit trees, brought home & planted in our garden. Instead, we mistakenly bought the only tree that was erroneously tagged. That was even after going through the tedious process of choosing the perfect tree. Why does that always happen? It's like when kids touch the only singular item that's potentially dangerous out of hundreds in a room. It was frustrating not to know what kind of fruit tree was gracing our garden. Maybe some type of apple we don't know about? We had been waiting endlessly for the fruit to become softer to try eating them but they remained hard as stones and they were getting bigger every day. Oh dear, something's wrong with these apples! It was high time we found someone knowledgeable. 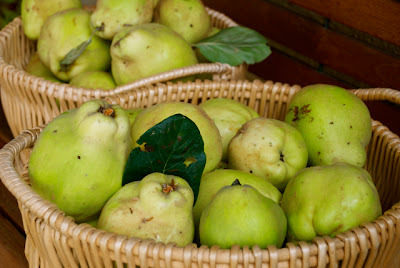 With knowledge on the roll, it was pointed out to us that we have mele cotogne (quince), not some strange apple-being. Well, technically, quince is a relative of apples & pears. It's a backyard fruit, something you won't be able to buy commercially. It's not a fruit that you can eat straight from the tree nor anytime at all. 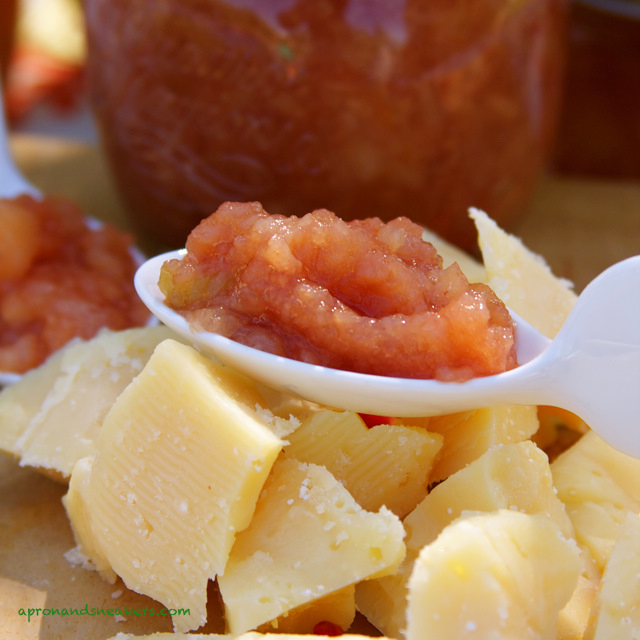 It only becomes edible when cooked, especially in jams. What a strange fruit. Before harvest season came, I prepared my cooking battalion. I amassed a cupboardful of jars to accommodate all the jam I would be making. For two days, I lost myself in the jam-making expedition. I just finished the last fruit tonight and boy, was I happy to see that basket finally empty! 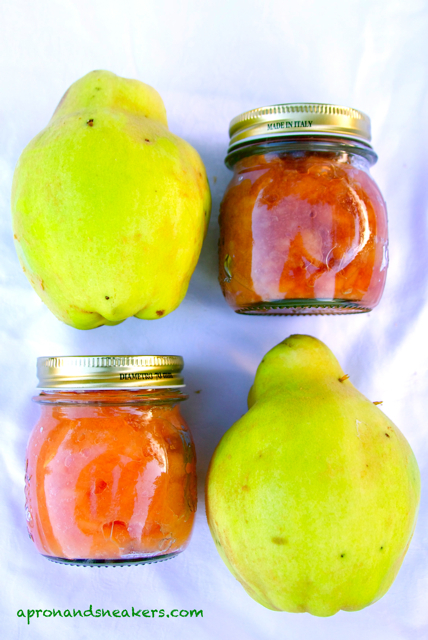 Quince is not an easy fruit to handle. They are hard and unfriendly to knives. After almost losing my fingers thrice, I finally found a system that works well. I put the fruit on a chopping board and peel from there with the knife's motion going outwards. Some boil the whole fruit with the skin on for about half an hour and peel them after or some just mash them a bit and make the jams with the skin on. This is not really a bad idea. In making jams, the suggested amount of sugar should be at least 3/4 of the total fruit. 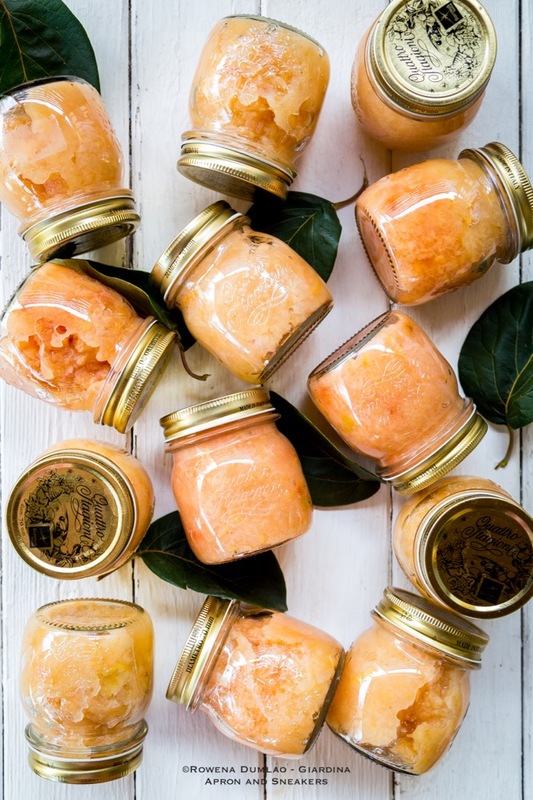 The bacteria cannot live in a very sweet environment so the high level of sugar ensures a more sterilized jam. Sometimes, some molds appear at the top part. That is the liquid part that separated from the pulp that lost a substantial amount of sugar. So, if you are planning to eat them a long time after you made them, say a year, put up the amount of sugar. I, on the other, cannot eat them when they are overly-sweet so this measurement works perfectly well for my palate and my family's. Anyway, they never last a long time in our household so the bacteria doesn't get the chance to penetrate our jams. I made two kinds of jam. One with port and one without. The jam with port goes perfectly well with aged cheese. To try it, I partnered it with Dobbiaco Vecchio, a local aged cheese from the Dolomites. The blending was scrumptious. Even both of my kids joined in the plunge and polished off an impressive amount fit for an adult. Our house favorite for the aged cheese is a kind of jam that we can only get in the Dolomites, pears cooked in red wine. 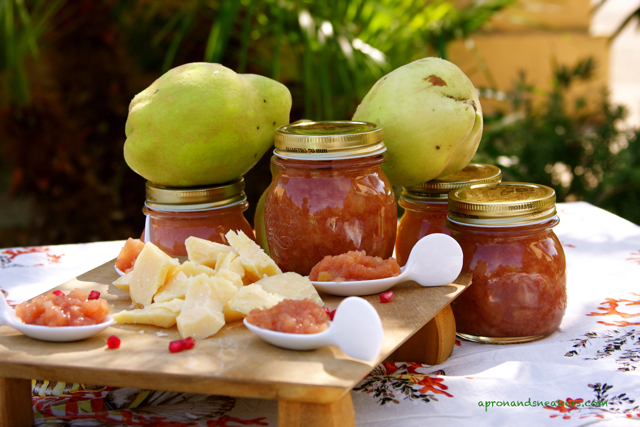 This is what inspired me to concoct this quince jam with port. 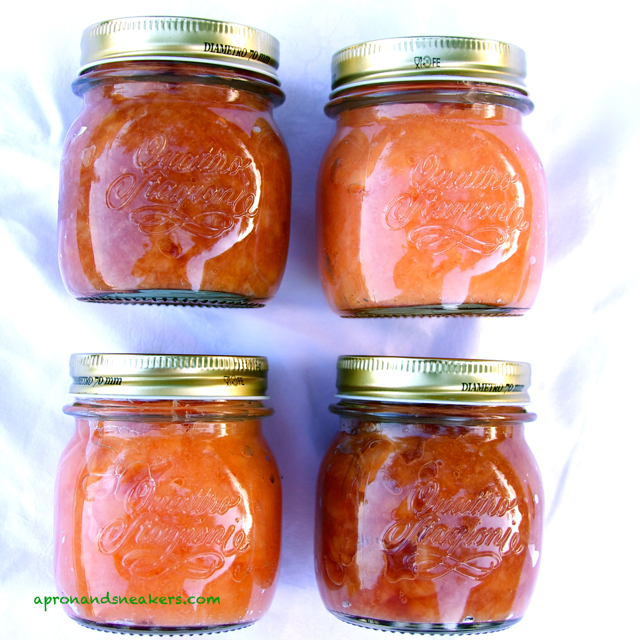 The plain quince jam, on the other hand, goes well with the toast. You can adjust the amount of lemon if you want to. Since quince has such a mild taste, I like to curb the sweetness a bit with the tartness of the lemon. Clean, peel, core & dice the quince. When you have accumulated 1 kilo of pulp, put them in a thick-bottomed cooking pot. Add the water & port (or water only), sugar & lemon. Let it boil. When it boils, simmer. Turn down the fire. Stir frequently to avoid burning the bottom. Mash the fruit with the back of the wooden spoon. Cook for 30 - 45 minutes. 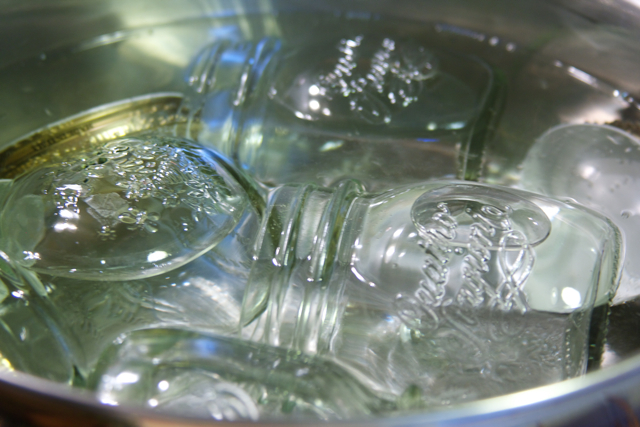 While waiting for the jam to cook, prepare a big cooking pot with a lot of water to sterilize the jars & lids. When the water boils, put all the clean jars & lids in the water & boil for 15 minutes. Take them out with tongs to avoid burning yourself. Let them dry on a clean dishtowel. Make sure they are completely dry when you are going to fill them up with the cooked jam. 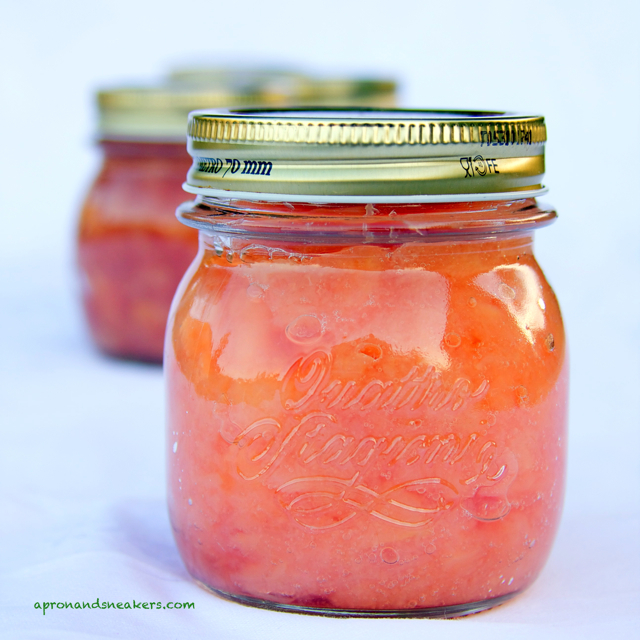 When the jam is cooked, spoon them immediately in the jars & close them tightly. Turn them upside down until they reach room temperature. Store them with the lid up.